It was a beautiful rain drenched morning in Paro. I woke up early and went outside. 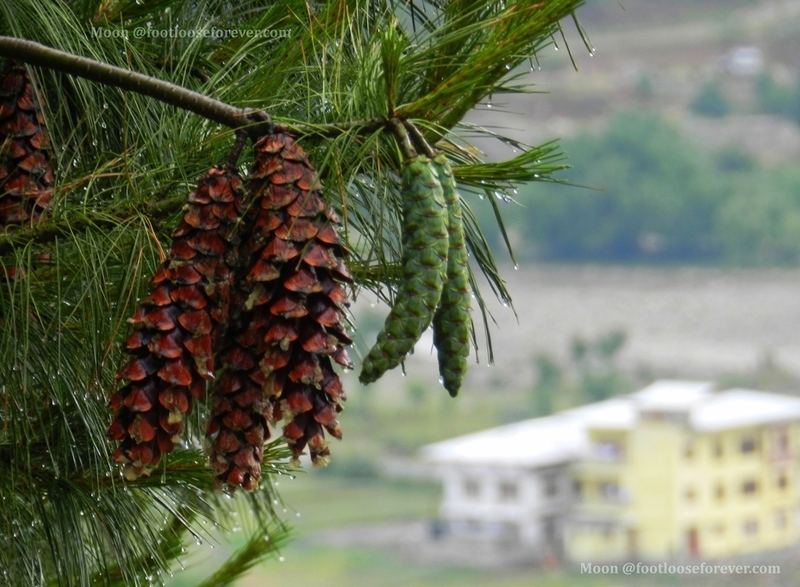 There were pine trees all around and cones hanging from the branches. While most turned brown I discovered some green ones too…. 🙂 and captured the change in one frame. Published in response to Daily Post Weekly Photo Challenge: Change. Those are some awesome pictures, Moon. The droplets do magic to it. Hey Moon, thats a lovely take and very cool pictures! Very nice Moon – I think you’re the only one who captured the change in a single frame! Oh Really! 🙂 That sounds great. Thank you for your kind compliments Tina. Lovely frames, rains make it even more beautiful.